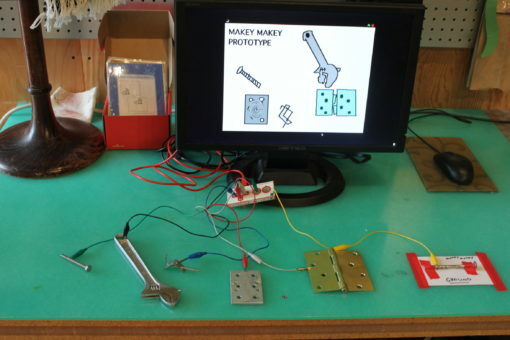 MAKESHOP » What did we do with MAKEY MAKEY? What did we do with MAKEY MAKEY? 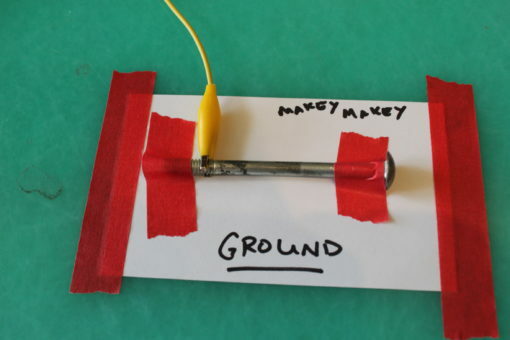 What is a Makey Makey? It is actually kind of hard to describe in words. Essentially it is a switch that uses anything conductive to replace the keys on a standard keyboard. There is much more information on the Makey Makey website. The Makey Makey is our newest toy in MAKESHOP. As I mentioned, the Makey Makey is a variable switch that replaces a standard keyboard and allows you to interface with a computer using nontraditional conductive items. Anything that is the slightest bit conductive can become a switch and in turn, becomes a keyboard button. I played with the Makey Makey at last year’s Mini Maker Faire and saw that the makers were using Scratch to interface with the Makey Makey. 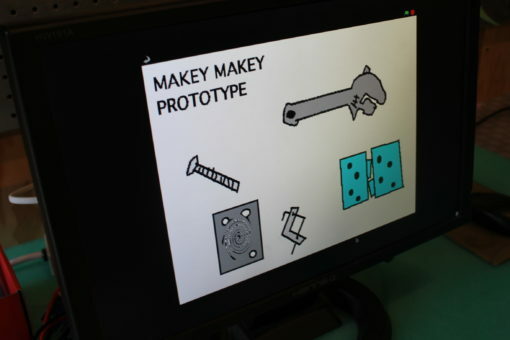 I know how to use Scratch… so I created a simple Scratch game that utilizes the Makey Makey. I hooked up the Makey Makey to some conductive materials that happened to be lying around the shop. I found a bolt, a wrench and a hinge. I made some simple representations of them in Scratch and wrote some simple programs for each sprite. 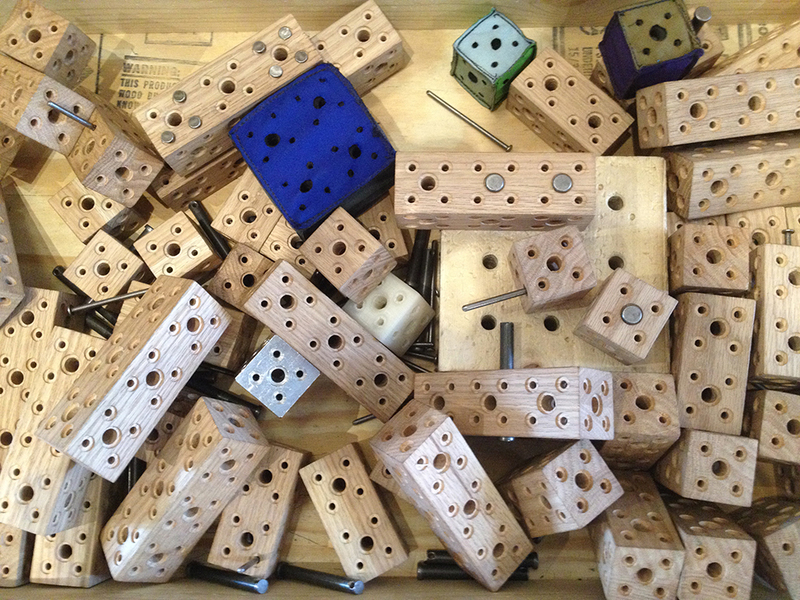 Therefore, when you touch the actual wrench the digital wrench spins and so on…More experiments to come. Kevin is a teacher by trade. He loves dinosaurs, sloths and magnets.